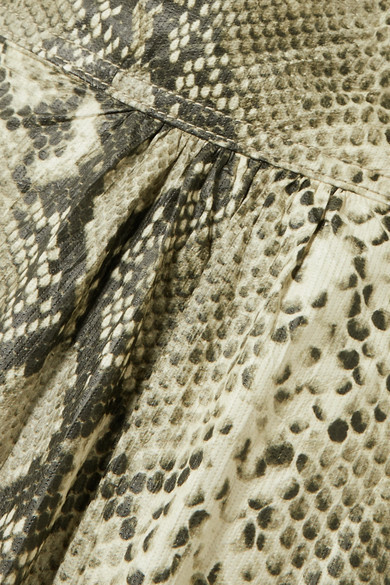 Lorenzo Serafini's love of the '80s is plain to see in Philosophy's Spring '19 collection - he opened the show with a series of snake-print looks, including these shorts. Worn on the runway by Edie Campbell, they're cut from coated-shell with rolled cuffs. Tuck a T-shirt or romantic blouse into the high-rise waist and finish with strappy sandals. Shown here with: Vanessa Bruno Blouse, L'AFSHAR Tote, Saint Laurent Sandals, Laura Lombardi Earrings.